In a career that has spanned over six decades – he has simply written the rule book on the art of rock guitar playing. From monolithic riffing to bombastic solos. From simple acoustic beauty to vast guitar instrumental orchestration. Jazz, classical and Eastern influences, blues, 50s rock’n’roll and psychedelic – he has turned his hand to all these varying styles over the years. 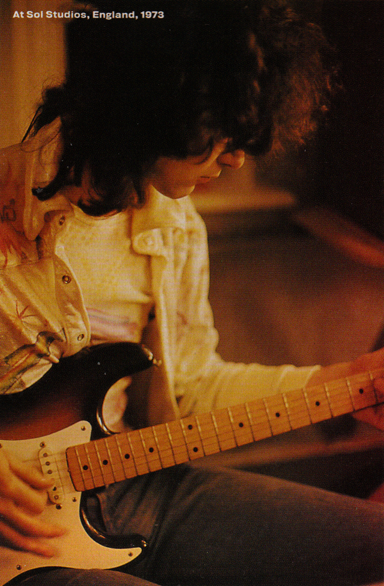 Always inventive and with a brilliant ear for production values, Jimmy Page is the epitome of the phrase ‘’Tight But Loose’’ that he coined to describe Led Zeppelin’s music. 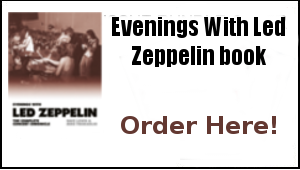 During the past few years, he has unlocked the Zep archive to bring us yet more delights and remastered the catalogue with a diligence that has further enhanced his reputation as the sonic architect and master studio producer. More recently, Jimmy has released two albums via his website the vintage Chris Farlowe In The Beginning set plus the revamped Yardbirds ’68 recordings. T celebrate the 50th anniversary of Led Zeppelin, Jimmy is again delving into the Zep archive from which he has commented ”all manner of surprises” will emerge along the way. 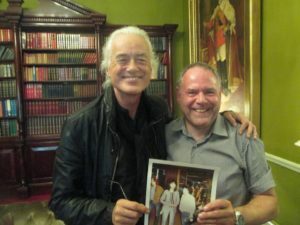 To mark his birthday, here are extracts from the interview I conducted with Jimmy in October 2014 – first published in TBL issue 38: This was an interview surrounding the release of the Led Zeppelin IV and Houses of The Holy reissues – it took place at the Gore Hotel Kensington on October 8, 2014. A warm autumn Thursday afternoon. I am in the South Kensington area of London. Earlier that morning, on the recommendation from my good friend, Krys Jantzen, I’d popped into the John Varvatos store in Conduit Street just off Regent Street. This is the high fashion outlet that recently opened with a major launch attended by Jimmy Page, Ringo Starr, Iggy Pop, etc in attendance. Jimmy has also done modelling for the Varvatos brand. A most impressive store it is, too – a sort of Hard Rock Café meets high fashion. It has a variety of rock’n’roll posters on display, books, limited edition guitars and the type of rock’n’roll clothing finery that the likes of Jimmy, etc can be seen in. In effect, it rocks… although at a high ticket price. It’s a great shop with a great atmosphere – a destination place for anyone visiting the area. Oh, and it sells vinyl, no bad thing in my book, of course. The photos of Zeppelin and Jimmy that adorn the walls are something of a scene setter for what I am in town for. I also take the playing of Dancing Days over the shop’s PA as a very good omen. Back in Kensington and just past the Imperial Museum I notice a plaque commemorating the first Queen gig in July 1970. It strikes me there really should be a plaque in the capital to represent Led Zeppelin. In fact they could do worse than to place it around the corner at the Royal Albert Hall. 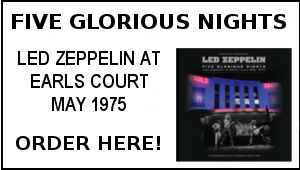 For inside that hallowed building (the one, naturally, I have just paid homage to), on the night of January 9th 1970 Led Zeppelin came of age, with a remarkable and much chronicled performance – and a very fine way for the guitarist to have spent his 26th birthday. 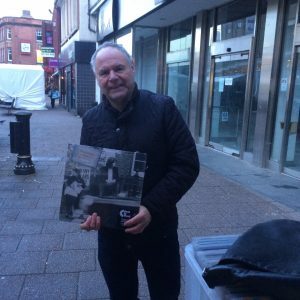 Nearly 45 years on, just down the road from Albert’s place, the very same guitarist is waxing lyrical about the achievements of the very same group. Jimmy Page has spent the day giving media interviews on the subject of the soon to be released second series of reissued and remastered Led Zeppelin albums – namely, Led Zeppelin IV and Houses Of The Holy, and his soon to be published photographic autobiography. I am here representing the TBL magazine fulfilling one of those media slots. 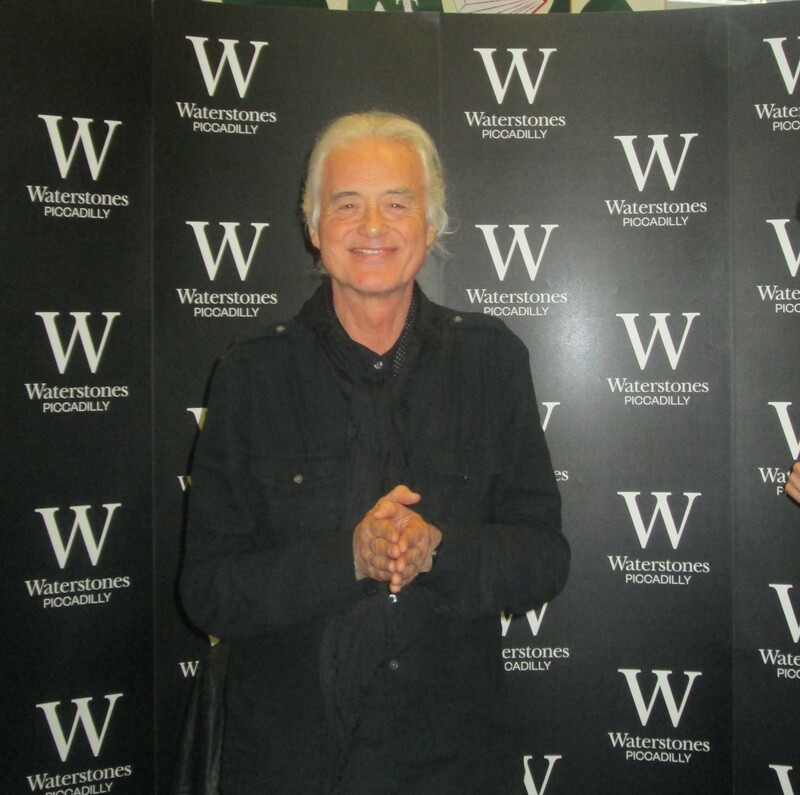 So yes, at last, the opportunity has arisen to conduct a formal interview withJimmy Page. A long held ambition of mine is about to fulfilled. I’ve been reading interviews with Jimmy Page for nearly 45 years. Many memorable ones spring to mind – Richie Yorke’s encounters in 1970 and 1971, Chris Welch’s various Melody Maker chats, Nick Kent for the NME, the Knebworth ‘79 interview with Chris Salewicz in the same paper, and much later, Jimmy’s conversations with Mick Wall in Kerrang! and Classic Rock. Jimmy has always been a good interviewee with a lot to say. Another interview that springs to mind is Cameron Crowe’s 1975 on tour rap with Jimmy for Rolling Stone. Back then, in the pre TBL days, holed up in my Zep bedroom den and devouring every interview as a passionate teenage Zep fan, the idea that I might one day fire the questions at Jimmy was pretty inconceivable. So, on the one hand it does feel like I am about to have my own Almost Famous moment, in the way that Cameron Crowe is depicted in the film. On the other, it’s perfectly logical that a specialist Led Zeppelin magazine would seek to interview the band members. So, how did this all come about? Well, the genesis of what will be mainly a talk about the latest Led Zep reissues, stretches back to a chat I had with Jimmy back in January 2013 at the Olympia Record Fair. He informed me then that he was working on the remastering of the Led Zeppelin catalogue. In fact, he was viewing a few of the studio bootlegs on some of the stalls and it was evident he was assessing what was out there as reference to his own archive findings. Since then of course, many things have happened involving this project. 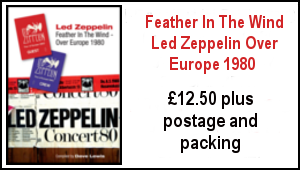 I have been lucky enough to attend the two Olympic Studios playbacks and the Paris Olympia launch, with Jimmy undertaking a promotional campaign to enlighten the world’s media of this Zep reissue programme of quite massive proportions. I duly kept out of the way in requesting an interview around the time of the first three reissues but it was always been at the back of my mind that, come the release of the next two (Led Zeppelin IV and Houses Of The Holy), I should strike. With a little help from one or two friends in high places and the Warners/Rhino/Outside guys, I’ve been added to the press pack line-up over two days of interviews taking place on October 1st and 2nd. I have been allocated a half hour slot at 3.30pm. Now, I’ve been lucky enough to have had a fair few informal chats with Jimmy over the years – stretching back to 1980 and the Over Europe tour in Cologne, Frankfurt, Mannheim and Munich, in the Swan Song office in September later that year (a week before it all ended), in Swan Song to talk about the Coda album in the spring of 1982, backstage at Robert Plant’s Wembley Arena show in 1985, on tour with Robert in 1995 and 1998 and at various record fairs in recent years. Up until now though, I have never conducted a one-on-one formal interview – and yup, I’m nervous. In fact very nervous . The sheer magnitude of what I am about to undertake is hitting home to me. Informal chats are one thing, a one on one interview conversation is something much more substantial. A quick pre interview pint is called for and I retire to the Queens Arms pub nearby, scene of more than one TBL pre-gig meet, notably that bizarre Teenage Cancer charity gig in early February 2002, when Jimmy and Robert appeared separately on the same bill. 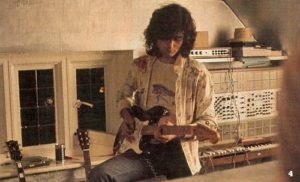 I’ve diligently prepared a host of questions with the central theme of Led Zep IV and Houses Of The Holy, and a list of things extracted from an ongoing file I’ve had under the title ‘Questions I’d love to ask Jimmy Page’. Given the time restraints, I know the latter may have to wait for (hopefully) another time. No matter, finally I am here to interview him, and that represents a long time coming major coup for the TBL mag. Unsurprisingly, things are running late as I arrive at the very plush Gore Hotel. BBC Online are filming an interview with Jimmy, and Michael Hann from the Guardian is yet to go in for his spot. There are already two other journalists in the queue behind me. No time for nerves now. I am led into the extremely plush sitting room where Jimmy is conducting the interviews on his own. He greets me amiably, dressed in usual black attire and scarf (instant mental flashback at this point: Jimmy on stage at the Indianapolis rehearsal in 1975, in polka dot scarf). So, shall we roll it, Jimmy? DL: Just to backtrack to the first three reissues. La La was a real surprise. Why was it unfinished at the time? DL: So that’s where the title comes from? JP: Yeah, whatever the working title was, John Paul Jones did a ‘’la la’’ over the top, then it became La La, but it’s not something you could actually put out like that at the time. DL: So there was a tape with him doing that guide vocal? JP: After all the overdubs were on, he said, ‘’I’ve got a melody idea’’ and that was the ‘La La’ piece. It’s good though. It’s almost like one of those old ska things. It’s not a ska rhythm but it’s all that weaving around. I’m pleased we found it. DL: Have there been things that you thought were in the tape archive that you could not locate? JP: What do you mean, like Jennings Farm Blues? I knew that had been nicked. I tell you what I didn’t think I had. I didn’t think I had what was going to be the overture for The Song Remains The Same. I didn’t think I had that, I thought that had got nicked along with the Bombay sessions and all of that. I mean I did have stuff that got lifted right back in the day – the analogue tapes disappeared. But I did have that. It was for my own reference with all the guitars on it. It wasn’t a detailed mix but it’s got all the elements on and that’s what’s important really – I was shaping it all up. DL: Am I right in saying that you used Fleetwood’s Mac’s Oh Well as a template for the vocal arrangement in Black Dog? JP: Not really. We called it ‘call and response’. It was the way to approach the riff really. DL: The version of Stairway To Heaven on the companion disc has a certain majesty about it. That’s from the Sunset Sound mix that was unused at the time? JP: Yeah, and I’ve used the Misty Mountain Hop Sunset Sound version as well on the companion disc. DL: So, why was the Sunset Sound mix of the album not used at the time? JP: What happened with the Sunset Sound mix was this. Andy Johns and I went over to Sunset Sound in Los Angeles to mix the fourth album there, because of the facilities they had. They had natural echo chambers. I knew they had natural echo chambers at EMI, for example, but you couldn’t get in there. There was so much music that I liked that had come out of Sunset Sound, and it was a result of the limiters, the compression and the echo chambers – like the Byrds’ stuff, that was all done there. I was keen and Andy was, too. There was also extra things that later came out on Physical Graffiti that we did at Headley at the time of recording the fourth album. There was Night Flight, Boogie With Stu, obviously, and Down By The Seaside – they all got mixed at Sunset, too. Going To California was mixed at Sunset but Battle Of Evermore wasn’t, that one didn’t go there for a mix but all the other things we did at the time we mixed there. You might have heard this – and as a myth or rumour – but when we actually arrived, as were going through the airport, there’s an earthquake going on and when we get to the hotel room I was tired, but I felt the bed shaking, so I called Andy up and as I do, the bed’s juddering. I called him and said ‘’Are you ok?’’ and he said there’d been more tremors soon. We were due to go into the studio that night and, no word of a lie, I said to Andy there’s no way we are mixing Going To California until the end, because the lyrics mention an earthquake! DL: The mountains and the canyons did start to tremble and shake – quite literally! JP: Yeah! So anyway, so these mixes were done and the best way to describe it is that it was at the real audiophile end of the studio. It wasn’t limp, it was so powerful, the playbacks on their monitor system. We had accentuating highs and real deep lows on the low end of it. So when we came back with these tapes to Olympic, we played them in the listening room through these little Tannoy speakers and the whole of the frequency range suddenly disappeared into the middle. And it was like ‘Oh god.’ And you have to understand, at the time there was talk of tapes getting damaged in transit and tapes getting wiped. It was like ‘Has something happened?’ as opposed to going ‘Wait a minute.’ The logical side of this is that the monitor system at Sunset was just totally different. It was a bit of a worry and a bit of a shock but I knew the mixes were good. It comes to the point where Levee Breaks – which is on the companion disc as the English mixed version – well, at the time it couldn’t replicate what’s going on with the depth, the density and the sort of menace that is there on the Sunset Sound mix. So the Sunset Sound mix got slipped on to the fourth album! I actually thought the Sunset mixes were pretty good, so we have got the opportunity now to hear three of those mixes, because we’ve got the original Levee and we’ve got Misty Mountain and Stairway on the new releases. DL: It’s interesting to hear the acoustic outro to Over The Hills And Far Away on the companion disc version. How did you eventually come up with the reverb ending? JP: I had the idea for it in my head, but the only way was to fade the track down and have the nakedness of the clavinets sort of thing going on. It’s just an experiment but I knew what I was trying to do. The mix you hear now, I hadn’t got to investigate it yet. So this version is a reference – it’s like a Post-it note. Then the whole thing changed – like the keyboard part, that isolated instrument, that was a really good way to end it. Like I said, what you’re hearing on the companion disc version, of over The Hills And Far Away – it’s like a Post-it note. That’s a good way to describe it. DL: Did you consider using an alternative D’yer Mak’er mix, as that track is missing in the companion disc line up? JP: The reason it’s not on there is there just wasn’t another mix that turned up. There wasn’t a rough mix from Stargroves. That’s all there was to it. DL: The instrumental No Quarter really brings out the prowess of the group, musically. Did it feel as though you were breaking new ground at the time with that arrangement? JP: Yes, for sure. John Paul Jones had the verse of No Quarter. The opening passage and the verse, that’s what he had with No Quarter. To move it from just having a verse to having that chorus and the riff that comes into the chorus, and then going back into the verse… well, it’s got this real movement to it and it’s absolutely classic. I knew it was so atmospheric and spooky. I knew something like that would work. It was the same with Four Sticks as well. It’s abstract, it was going into the world of abstract, and that was really marvellous. That was what is what was so good about the band. There are these different character statements. They are called the songs but they are really character statements and they are all so different to each other. You can see how far we were pushing things. DL: It’s so apparent how Houses Of The Holy is so different, in terms of the sound and general texture of sound to Led Zeppelin IV, isn’t it? JP: Yes, that was always intentional – the fact that every album would be so different, and not just in as much as the actual content but the whole atmosphere. DL: Looking ahead, what is the plan for the Coda companion disc which provides quite a lot of scope I would think? JP: I can’t give much away at this point. Let’s say that if you think of what the original concept of Coda was in the first place, then I’m going to extend that. DL: Are there any plans to release further Led Zeppelin live sets? JP: Well, I remember talking to Ahmet Ertegun many years ago. I said to him about putting out bootlegs and he liked the idea of having bootlegs of the bootlegs, he thought that was fun… but it didn’t really come to much. Everyone would have thought ‘Yeah, that’s a good idea’. You just see what’s voted the top ten bootlegs and you just put them out. I know it’s been done now by other acts but at the time I thought of it, nobody had actually done it. A lot of ideas I had did not necessarily come to fruition and that was one of them. DL: So you could put out something like Japan 1971? 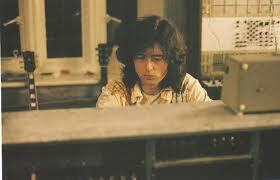 JP: I could, but I’ve been doing so much Led Zeppelin work… and it’s not just compiling it , but it’s promoting it. That all takes time. I mean I’m not 40-years old or even 50-years old – where I can say ‘I’ve got at least another 25 years’. I maybe don’t have another 25 years and it comes to the point where you look at everything you’ve got and for me the website was the first thing I needed to do. The website was going to loop and deal with the history, if you like, up to the point there’s a history. That was important, just because, again, it was like nobody had done anything like that. Nobody had done a website that caught up and came round upon itself and looped. The other thing that is important to address is the duality of Led Zeppelin and the duality is, there’s the studio recordings and there is live concerts – so I wanted to initially redress the balance, and this is what we’ve done with the first three albums. It took the first three albums to come out for people to understand what the game plan. I wanted to bring it back into the studio. When people start listening to the studio stuff afresh… and they are given all this new information, too. It’s like ‘Wow’. So, it’s great to turn people on to it. For me, it’s for the fans. It’s about all the people along the way who have listened… not just heard it, but listened to Led Zeppelin. I’m really happy to be able to put this stuff out. DL: I know one of your great pastimes is record shopping. What inspired you to get back to collecting LPs again? JP: Probably when my children grew up… because what doesn’t mix is children and vinyl! All of us fathers know this. When our vinyl is in easy reach and becomes in easy reach of children. Children and vinyl don’t mix, so I kept having to shift it up a level. Then it got put away, and then there was separation, divorce or whatever. So, once I got back into my own space Dave, I thought ‘Right, I’m going to get my records out and I’m going to listen to them again’. It’s like meeting old friends again and ‘Yeah’ it’s great. I’m my own man, I can play records when I want, I can watch TV when I want. I can do what I like now, so I’m going to make sure I’m going to resuscitate my vinyl collection! There’s a lot of stuff in there. I’ve got Led Zeppelin white labels and all the stuff you would salivate over. DL: What has been the latest addition to the collection? JP: It was a Velvet Underground LP – Ross picked it up for me. With things running so late, I am not surprised when, after about twenty minutes, head consultant to the reissue project, Robin Hurley pops his head around the door to signal I have five minutes left. Robin appears again. ‘’Sorry to have to do this to you of all people, Dave, but we need to move on’’. JP: Basically, these scheduled releases of Led Zeppelin – of which there’s been three out already, and there’s going to be Led Zeppelin IV and Houses Of The Holy coming up soon, and of course all the rest of the catalogue will come out in due course… all of it has new information that people wouldn’t have heard before. In fact, they wouldn’t have heard it on bootleg before – at least a major percentage of it. Well, I’ve put it this way before but it’s absolutely true. It’s like a portal, it’s like a view point into that time when those recordings were made for those particular albums, those classic albums. And I knew right from the beginning, in thinking about this project, that it was for you, the fans. Because we sort of understand the difference between just hearing Led Zeppelin and really listening to it. I knew that people with that level of understanding would really get off on it, hearing all of these different versions and things that they haven’t heard before. Questions such as, was Slush the working title of The Rain Song, and a couple of Mike T. requests – could he once and for all confirm or deny whether The Yardbirds played their very last gig in Montgomery, Alabama or in Luton, and does he remember playing Las Vegas at the Ice Palace with Zep – and a fair few others will have to wait for another day. There’s just enough time to hand over to Jimmy an album I’ve brought along for him – The Everly Brothers’ Two Yanks in England. ’’Oh, that’s the one with the Hollies on” says Jimmy, astutely. And he should know… he played on it. Very graciously, Jimmy signs my Feather In The Wind book (again putting in the number as 666) and my copy of the reissued Led Zeppelin 1 (‘’Dave, the start of it all. Zep 1!’’). I also showed him a photo of him and I from Feather In The Wind, taken on June 18th 1980, before the Cologne gig. ‘’Oh that a Brazilian football shirt I’ve got on there’’ he notices. Younger then and older now, but neither of us any less fervent for the band – his band, that really is a way of life. Back out in the bar area, as the next journo is ready to go in. I clock a look at the framed pics of the food splattered Rolling Stones, taken in this very building at their Beggars Banquet album launch back in 1968. Then a walk across the road and a final glance over at Albert’s place. It’s been a long day and maybe it’s all in my head but I’m sure I could hear the strains of an instrumental version of Stairway To Heaven, (ala the Arms arrangement) coming from within the confines of this lovely old building. Dave Lewis. October 8th, 2014. 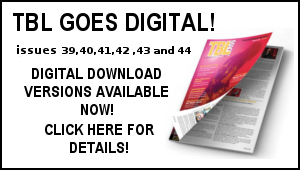 The full interview is one of the highlights of TBL issue 38 – still available to order at a bargain price at the link below. To further mark Jimmy’s birthday, below is a round up of 25 examples of his genius that have emerged on the Companion Discs that have accompanied the Led Zeppelin reissues. More moments of guitar artistry to marvel at and yet more reasons why for me, and countless thousands of fans the world over, Jimmy Page remains (as that flag out in that field near Stevenage once proclaimed) the true Lord of the strings…. Dave Lewis – January 9, 2018. Play them today and all week! Clock the genius at: 2 minutes and 23 seconds to the close at 2.50 as Jimmy chugs his way on off down the highway. Clock the genius at: 3 minutes 12 and that amazingly fluid solo run. Clock the genius at: 6 mins 40 as he goes into the Whole Lotta Love riff behind the Oh Rosie section, then adds some slashing chords into The Hunter. Clock the genius at: 0.52 and the arrival of the acoustic motif and then into a scintillating riff part behind Bonzo’s drum fill. Clock the genius at: 1.07 as he comes out of the pause and then slams into the chorus. Clock the genius at: 00 – 0.35 and that chaotic opening as Jimmy battles with the riff against Robert’s harmonica wailings. Clock the genius at: 1.16 through to 1.50 as he applies all manner of slashing chord effects. Clock the genius at: from 00.1 to 1.11 -marvel at the sheer subtlety of this intro. Clock the genius at: 0.14 through to 0.36 as the acoustic guitar overtones kick in. Clock the genius at: From 3.12 to the close at 5.41 where he overlays a very James Burtonesque solo. Clock the genius at: 2.57 as acoustic guitars and mandolin merge for the outro. Clock the genius at: 3.10 to 3.50 as he scrubs out what will later be a chiming fanfare. Clock the genius at: And talking of which – at 2.06 the arrival of a fanfare crescendo of guitars. Clock the genius at:0.57 as the multi overdubbing shines through brightly – dazzlingly so. Clock the genius at: 3.55 as the acoustic coda adds an alternate spin on a familiar ending. Clock the genius at: 2.29 to 3.01 as he lays down the rhythmic base for which he will later overdub the solo. Clock the genius at: from 0.48 though to 0.56 as that descending chord sequence merges with a zip across the speakers. Clock the genius at: 2.13 to 3.00 as he holds down an incessant riff for JPJ to build his clavinet solo around – further guitar embellishments would follow for the released version. Clock the genius at: 5.14 to the close at 6.27 – more foundations for the guitar army to be constructed around. Clock the genius at: The entry of that first string bending solo that stretches 3.44 through to 6.15 – utterly magnificent. Clock the genius at:The crunch of the solo at 3.46 and on into the pastoral JPJ led keyboard sequence. Just glorious. Clock the genius at: At 2.40 where Robert’s cry of ”hit me” leads into a solo that winds up at 3.02 having twisted and turned in all the right places. Tomorrow, Wednesday January 10, marks the second anniversary of the passing of David Bowie. Of all of the many recent sad passings, it’s David Bowie that has resonated most with me – profoundly so. That sad day of two years ago was one of the most monumental I have ever known – with so much shock, grief and outpouring of love for the man. The good lady Janet’s subsequent visit to Brixton and Hedden Street on Saturday January 14 2016 was incredibly moving. 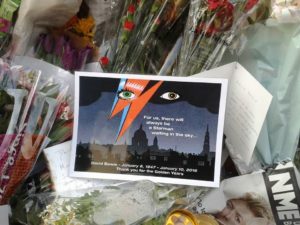 He really is still missed so much – his music has never sounded better and playing through the likes of Hunky Dory, Young Americans, Low etc continues to bring great listening joy and comfort. Ian Hunter’s tribute Dandy has also been on the player here – such beautiful heartfelt words from one of his true contemporaries. 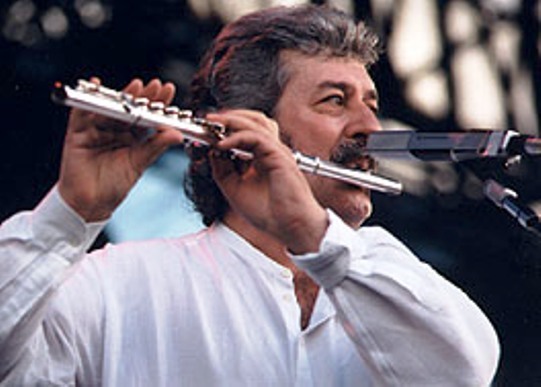 I was very sad on Sunday evening to hear the passing of The Moody Blues Ray Thomas aged 76. I was only playing the wonderful Ray Thomas composition For My Lady from The Moody Blues Seventh Sojourn album recently. There’s a superb YouTube clip of The Moody Blues performing the brilliant Question on the It’s Lulu show in 1970 –I loved this single at the time and still do…and it all sounds very poignant tonight in the light of the sad news of the passing of their flautist/singer. I was also very sad last week to hear the passing of long time TBL subscriber Russell Ritchin. Russell’s cousin Arthur got in touch to inform me Russell passed away late last year aged 68. I was only in contact via email with him in October. 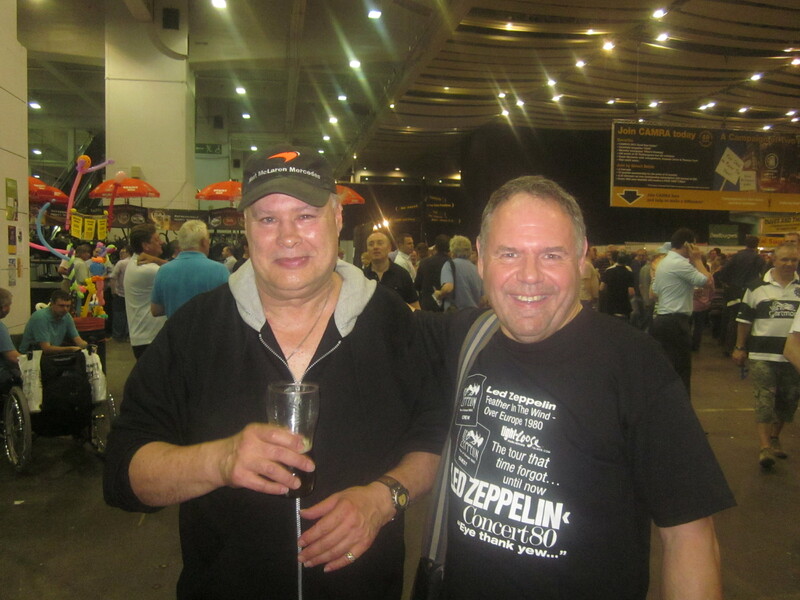 I’ve known Russell for many years though his passion for Zep – he was also a big Queen fan. Russell was also interested in wildlife and bird watching. He was a really lovely natured guy who was always very supportive of all my TBL projects and indeed me personally. The photos here of of Russell and myself and Julian Walker were taken at the Great British Beer Festival at Earls Court in August 2011. 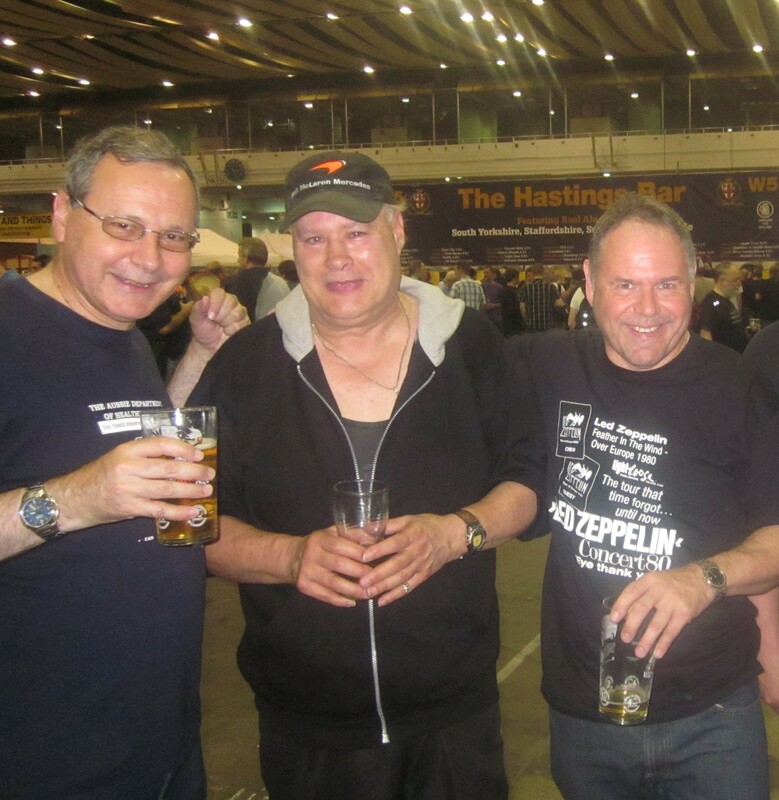 I was always the youngest of a group of friends of mine, usually consisting of about five or six regulars who would go to as many live gigs as finances would allow – and some of the memorable ones included The Rolling Stones/Pink Floyd/The Who etc. I had heard my first taste of Led Zeppelin on late night rock radio and from hearing Led Zep 1 I was hooked – I rushed out and got Led Zep 1 as soon as it was released and of course I was desperate to see them live and the opportunity finally came up when they played Earls Court in may 1975. I would play Zep nonstop, in fact so non stop I remember my father asking if I did not have any other music other than this very loud group. In fairness to him he had a point as my speakers nearly fell off the shelving with the force of the Zep vibrations! My friends usually asked me when concerts coming up if I wanted and could afford a ticket. 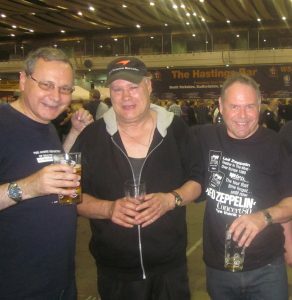 When the Zep Earls Court gigs were announced, my friend John Nixey or big John as he was known at 6ft 4in, got me a ticket without asking as he knew I loved Zep . He had a bit of a struggle but managed to get four tickets. I remember a couple of our group were on holiday so thank heavens it did not come down to someone having to drop out. I remember on day of concert I was ready to go about 9am which was a touch premature but the hours went by and gradually it was approaching pick up time (remember this was very much pre-mobile phone days) with no sign yet of John. Every minute seemed like an hour but I kept telling myself he had other people to collect. By the time he got to me we were running late very late. By the time we got to Earls Court I was frantic as you could hear the crowd going wild and we were somewhere in the upper gods. It was a mad rush to get up the escalators – this we did running up the down escalators as the up escalators were too far away – trust me not the best thing to do! By the time we actually got to where we should be, we then found our seats taken by other people – by this time announcer was just welcoming Zep on to stage. Big John not so politely, asked these guys to leave out seats and they did pretty quickly! We took our seats to the roar of Rock And Roll – Led Zeppelin were on stage and all the running around was of course all worth it. It was a birthday experience I will never forget…. Not a great week here to say the least. The news of Russell’s sad passing and that of Ray Thomas, only added to what had already been a difficult start to the year. I had planned to attend the Black Country Communion gig in London last Thursday but I could just not get the energy and inclination to do so. That was a clear indication of how how bad things had got. That feeling of emptiness and lethargy, coupled with a constant physical ache and general run down feeling – which I’ve had for nigh on a month now. I’ve been here before of course – call it the black hole, the black dog – but I really know it’s that wretched word depression. And my, do I know it. There, I’ve said that wretched word and admitted it and I hate doing so because it feels like a defeat. I’ve given in, let it cloud all the positive thoughts and aspects of my life of which there are many…and what have I really got to moan about? I’ve mentioned it before, I am a millionaire many times over when it comes to the love of a wife and family – and with Sam back from Australia and here for a few weeks that is a delight. As for the job I do – writing about music and the world of Led Zeppelin…well what’s not to like…? However something is just not right…as I mentioned there’s been a lethargy about everything, a lack of properly enjoying what I would normally revel in. It’s hard to get motivated and sometimes there’s a distinct feeling of loneliness even amongst friends. Low self-esteem…uneven sleep patterns…often feeling irritable and stressed out. It fact it feels like there are only problems – and no solutions. The easiest way out seems to be to curl up in bed and not face the world – and that’s something I’ve been doing a lot of recently. This, from a man who knows how to enjoy himself and never wants the party to end. Health wise nobody is getting any younger and at 61 I need to be careful out there. I do have to take tablets for my type 2 diabetes I try and keep pretty fit with the daily bike rides and such – and though every pic on the TBL Facebook I seem to have a pint in my hand, I do drink in moderation. Without going into too much personal detail, I can trace and identify the triggers and reasons for this downturn. I do look at myself in the mirror and say ‘man up, pull yourself together’ but it’s not that simplistic by any means. The stigma surrounding this illness that you cannot see, has faded in recent years and the awareness of dealing with mental health issues is greater than it’s ever been. Indeed, many reading this will recognise the symptoms I’ve described and identify with it. Let’s face it, modern life has never been more complicated – the constant demands of social media (and I am not knocking it as it’s an all important aspect in getting the TBL message out there) is never ending – we are all a bit of a slave to it. Coupled with an increasingly online technological world, it’s all a long way from when I sent off my postal orders for tickets to see Zep at Earls Court. Simpler times indeed…but the fact remains we all have to cope with an ever changing landscape of life demands – and that is just the way it is. It’s how you do it and how you choose your attitude each day that matters -and choosing the right attitude is not always easy. So that’s 2018 so far and it’s not been that good …but I am determined it will improve. I am trying to regain my zest to get back on track – and the past two or three days I have felt myself coming out of this fog and feeling a whole lot more positive. Hopefully that is a trend that will continue in the days and weeks ahead. It’s not all doom and gloom by any means with a lot of exciting things ahead. I just need to get back in the right frame of mind to enjoy them fully. I’ve been through hard times as well. A good psychiatrist and a pharmacological therapy saved me. Dave, you are a great soul, and I so enjoy keeping up here at the TBL site. Very sympathetic to your struggles, even empathetic (! ), but what could I say that all these fine folks haven’t already said? Then I was reminded of something the great hockey player, Wayne Gretzky, replied when asked to what he attributed his success. He said it was “skating to where the puck is going, not where it is.” I think that sums up your joi de vivre and creative zeal for the many great (and ongoing!) TBL issues, books, and your love for rock music and all things Zep. Ever On and Best Wishes for the Evenings with LZ book, the New Year, and eternally! But dancing The Crunge often cures this I have found! Hope things pick up and keep up the good work. Just so you know I found my copies of TBL 4,5&6 which I bought way back. They were still in the brown hand written envelope with the stamp and date mark on them. I have spent the last 2 hours going through them with my Knebworth bootleg on loud!! – I have thoroughly enjoyed it and if you hadn’t have made the effort to get the whole TBL ‘Empire’ up and running my memories of that day and the times would be all the worse for it. So again a big thanks and do keep on with it. PS Not too sure about all your Vinyl Barn purchases but you do manage to fine so great stuff!! Here’s hoping things start to come right for you again Dave. The Houses of the Holy album is the best medicine I can think to prescribe. Best wishes for 2018. Hang in there Dave … I feel for you. I never realised how down people can get until my daughter had a really bad hit of Anxiety recently … and while we were in the UK and Ireland … and there was nothing we could from so far away. She’s good now but a bit scary for her. As a side … I watched a doco on Billy Connolly the other night and without word of a lie … someone who was a bit down was in the doco and was asked about what Billy had done for her … she was literally described an episode of Billy Connolly and never laughed so much … well there ya go. Thinking of you on the other side of the World, and perhaps I should have wondered into the Vinyl Barn on holiday recently … introduced myself … and bought you that Pint! … next time. Dave, hang on in there mate, things will get better again. There’s lots of us Zep fans out there who quietly REALLY appreciate and value what you do. Hope you feel better soon. Heartbreaking to read your latest post, but know you’ll fight through this latest case of the blues with the help of the good lady Janet, Sam, Adam and your many friends around the world. Hang in there, try to keep the mind from gravitating towards dark thoughts, and stick to those daily bike rides! Exercise truly is the best cure for the blues. We’re all backing you, mate. Never forget that. I can certainly empathise to some degree the way you’re feeling right now Dave, and know you’ll get through this bout of it as you’ve done in the past. You devote such an immense amount of time and effort bringing joy to so many of us Led Zep and music fans around the world that it must be hard at times to maintain your energy and enthusiasm levels. Sometimes you have to just take a step back and focus those energies on yourself for a time – you’re number 1 Dave, look after yourself mate. I wish you and your family all the best in the new year. Keep on exercising and indulging your musical pursuits. Always good medicine. All the best. Sorry to hear to those dark clouds have returned, I know how this feel’s as they return for me at times for no reason.! I cant offer any great peals of wisdom, Except to say I always look at it in this way,The dark cloud days do become overcast days and then sunny days again. Dave, what you have shared is not an easy thing to talk about, let alone write about. I have had the pleasure of being in your company several times, and I have always enjoyed it. It seems in this complex world we live in currently, there is not a lot of positive news. Look at the tabloids, it is the negative stuff that sells papers. A buddy once told me, getting older is not for the weak. At a time when you should be enjoying life, it is easy to get run over by constant demands and expectations. What you provide to all of us in the TBL community is priceless. Next time, the dark clouds show up, remind yourself of all the good you do for your family and friends. I’ve been a TBL subscriber for many many years now and i just want to wish you well and to let you know that even though we’ve never met your work on the fanzine and various other projects devoted to the mighty Zep has given me huge pleasure over the years, take care Dave and remember for every winter there comes a spring and with it a new May Queen. Happy New Year Dave. Stay positive, healthy & maintain that passion & enthusiasm that your friends & followers respect and I know admire. We are from that generation that has always held loyalty and devotion to our favourite bands and musicians and you can’t get any better than the mighty Zeppelin ! So,raise a glass tonight to Jimmy,let’s hope we see him grace the stage again in 2018. All the best, Mark. For whatever its worth, Dave, your work with TBL is appreciated, and you make LZ fans happy the world over. Now, talk Jimmy into putting out an album and going on tour! Bike rides are good for health Dave, keep moving! Cheers from Brazil! It’s unfortunate to hear of your ongoing condition and symptoms. I can’t from afar offer any proper advice, other than to perhaps take a moment to understand and appreciate the immense positivity that your work here provides to so many people all around the world. Its a remarkable gift indeed, and as Jimmy said to you directly: thanks for all your enthusiasm. Its worth reflecting that a man who feels so low, can bring such light and joy to many people that he doesn’t even know. That would be you and I hope that thought might trigger some inner peace that you could embrace. Chin up Dave. Just remember you’re not alone on this journey & you’ll always have the support of your loving wife & family. It takes quite a man to admit to & face his demons so you’re most of the way there. Everyone has their moments & of course Christmas & the New Year tend to be times of reflection where these things come to a head. Listen to the music you love & throw yourself into your LZ projects that you have the upmost passion for when you get back on track.